Two of the Middle East's most intriquing characters--Oman's Sultan Said and his rebellious daughter Princess Salme--come to life in this compelling narrative. The sultan ruled from the African island of Zanzibar, once the clove-producing capital of the world, where he and his sons, together with Arab merchants and African chieftains, escalated the East African slave trade to unprecedented levels, capturing and selling as many as one million Africans. Princess Salme wrote the first-known published biography of an Arab woman. Random House, 2010. Currently being translated into Arabic. 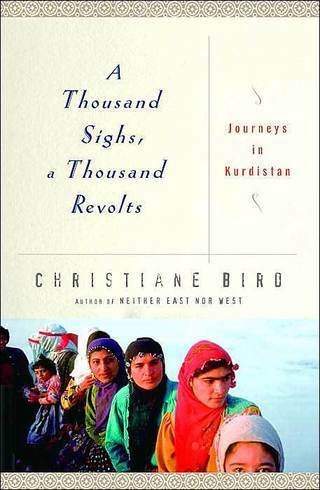 Blending personal observation with in-depth research, Bird travels through the Kurdish regions of Iraq, Iran, Turkey, and Syria to illuminate the little-known history and vibrant culture of the largest ethnic group in the world without a state of its own. "Informative and altogether fascinating.... No book could be more timely." Ballantine Books, 2004; Random House Trade, 2005. Translated into German, Spanish, Hungarian, and Kurdish. Traveling alone and by bus, Bird journeys throughout Iran, from the bustling capital of Tehran to the lonely Valley of the Assassins, talking to Iranians from all walks of life along the way. The result is an astounding, insightful look at the Islamic Republic--in all its beauty, ferocity, and contradiction. Pocket Books Hardcover, 2001; Washington Square Press, 2002. Named one of the 10 best books of 2001 and the best travel book of 2001 by barnesandnoble.com. Where did Charlie Parker first play with Dizzy Gillespie? Where was Billie Holiday born? Filled with anecdotes, informal music history, and city-by-city listings for clubs, musicians' birthplaces, landmark venues, radio stations, and more, The Jazz and Blues Lover's Guide is the essential "where-to" bible for jazz and blues fans everywhere. Includes information on 26 cities and the Mississippi Delta. Addison-Wesley, 1991, 1994. Reissued by Da Capo Press, 2001. Translated into German. An indepth, personalized travel guide to New York State published by Moon Handbooks. First edition published in 1997; updated in 2000, 2003, and 2006. Named one of the 25 Outstanding Reference Books of 1997 by the New York Public Library. Coauthor of an award-winning photography book by Magnum photographer Eugene Richards; 14 families tell their stories about poverty in America.